The Rieti Chandelier is a modern version of a classic design. 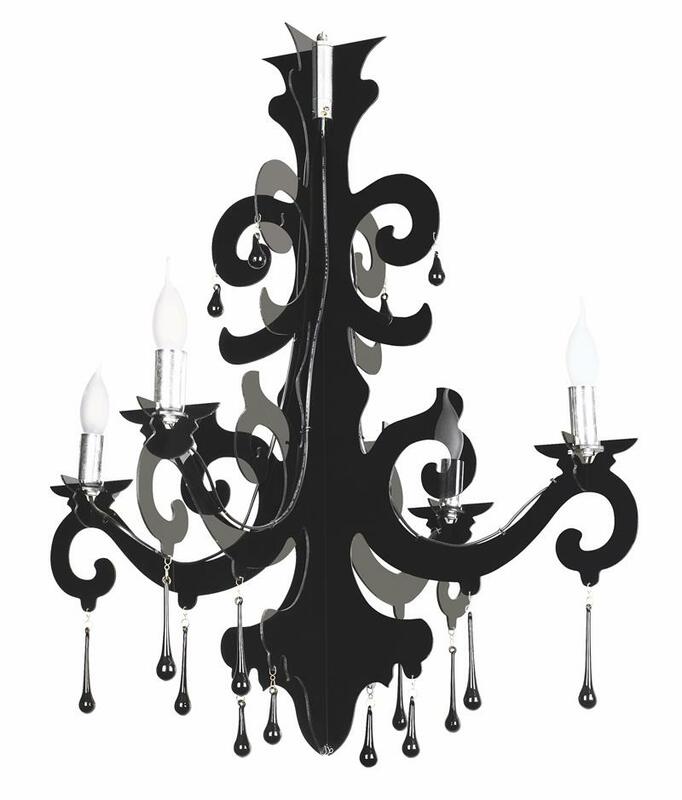 The chandelier is made of black acrylic and is laser cut in a classic inspired baroque shape. This also has black drops for an elegant touch.